Inspired living in an incredible home that captures the dramatic play of natural light like no other! Lush desert landscape and ''through the house'' strategic views. 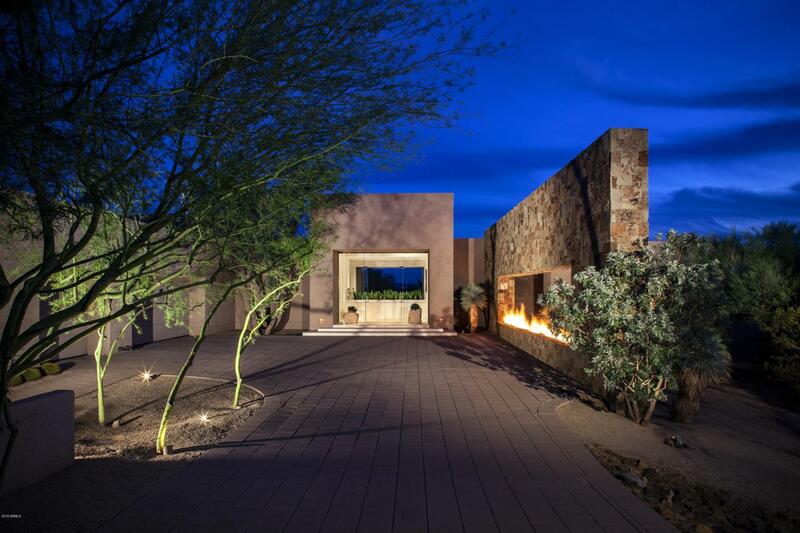 The heart of the home is the most spectacular kitchen in Desert Mountain! Equipped for a professional chef and designed for the ultimate host. Huge dual islands of honed marble create exceptional working and entertaining spaces. The master suite is serene and intimate, with an unexpected Master Bath, designed as an indulgent spa. The seamless indoor & outdoor living spaces offer exceptional views across the 7th hole of the Renegade course. The home wraps multiple outdoor seating areas, an outdoor kitchen, hot tub & dramatic infinity edged lap pool that is flanked by linear fire features. This is Desert Mountain at its finest!